After almost two years as Head of Acquisition Marketing Strategy at Foxtel, planning and optimising sales campaigns which have resulted in record growth for the business, Polly’s remit has recently expanded to include customer marketing strategy. As Head of Acquisition & Customer Marketing Strategy Polly leads a team of 4 Marketing Managers and Analysts and is responsible for driving Demand, ARPU, Advocacy & reducing customer churn by using data to plan both acquisition and customer marketing activity. Polly is also responsible for the presentation of this strategy to the CEO & executive team on a quarterly basis. Polly’s development and weekly running of a trading meeting for the wider marketing department to monitor business performance and gather insights has been pivotal to her success in this role, the output of which has driven fundamental shifts in the marketing plan and immediate sales benefits. 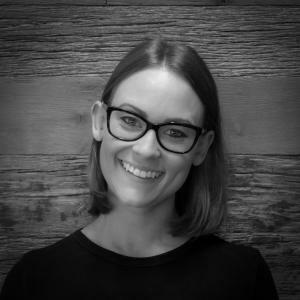 Polly has been at Foxtel for 5 years & prior to her more strategic roles spent two years as Digital Marketing Manager where she managed digital creative for all Foxtel campaigns, placing a large emphasis on simplifying & improving the path to purchase. Before her transition client side Polly held senior agency roles at The Campaign Palace and spent 4 years at BWM where she very quickly transitioned from Account Executive through to Account Director. This experience has been invaluable and allowed Polly to excel in her current role by developing strategies which are highly implementable. In 2014 Polly was selected as a Finalist for Foxtel’s Kim Williams scholarship and also for the 2014 B&T Women in Media ‘rising star’ award. She was also one of 10 delegates on ASTRAs 2014 Leadership program. Outside of work Polly loves running and has completed 3 half marathons. She intends to run a full marathon in the coming years.